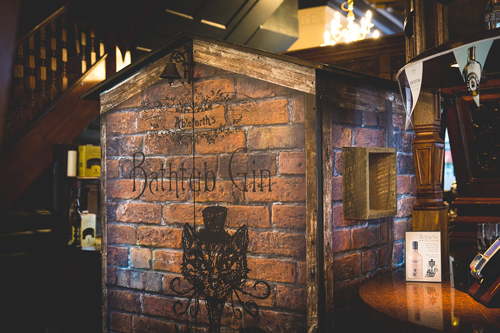 We took our Bathtub Gin Old Tom on tour and teamed up with Nicholson's Pubs to showcase the historic gin style. 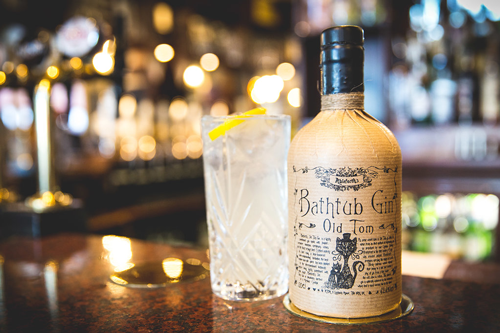 Over the summer, we ventured out into the world and visited a swath of Nicholson's Pubs with our Bathtub Gin Old Tom in hand to shine a light on the glory of the traditional style of gin. Much like today 18th century Britons witnessed a gin craze, with juniper-led libations gaining an astonishing following. Unlike modern-day drinkers, they had to contend with dangerously made, often illegally-produced products packed with unpalatable impurities. To remedy this, gin compounders cleverly sweetened their gin to mask off-flavours. The Old Tom style was born (just so we're clear, we no longer need to sweeten the gin to hide any horrors - now it's just to add a sweetness to the flavour profile). At the same time, to capitalise on the gin boom the government levied huge taxes against distillers and purveyors of the spirit. To circumvent these, shopkeepers saw fit to hang up the sign of a cat, a secret signal to imbibers that they could get their gin fix without shouldering the enormous duties. All they had to do was push a coin through a slot in the cat’s mouth and gin would be poured through a pipe beneath its paw and into a waiting glass. These so-called Puss and Mew houses were an integral part the history of Old Tom gin - and we made our own inside Nicholson's Pubs! After a tutored tasting of Bathtub Gin Old Tom, folks were able to purchase a coin from the bar and by pushing it through the mouth of a cat on our Puss and Mew house, start a chain reaction. 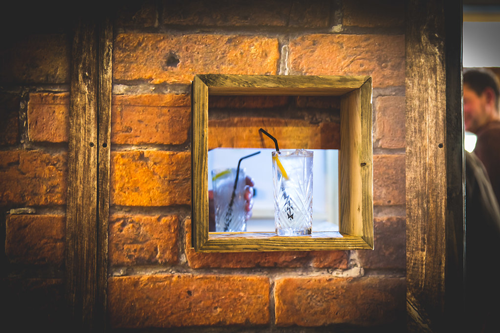 When we say "chain reaction", we of course mean that our Ableforth's bartender within the house would get to work mixing up a cracking Old Tom Collins with Bathtub Gin Old Tom then serve it through the handy hatch at the front of the house.